You can purchase the book here. Simply click on ‘BUY NOW' as highlighted below and you will be directed to a secure site with complete instructions. This first publication by Houshamadyan includes articles by Nanor Kebranian, Dzovinar Derderian, Yaşar Tolga Cora, Mihran Minassian and Vahé Tachjian. Each looks at the overall life and social environment of Armenians living in the Ottoman Empire. 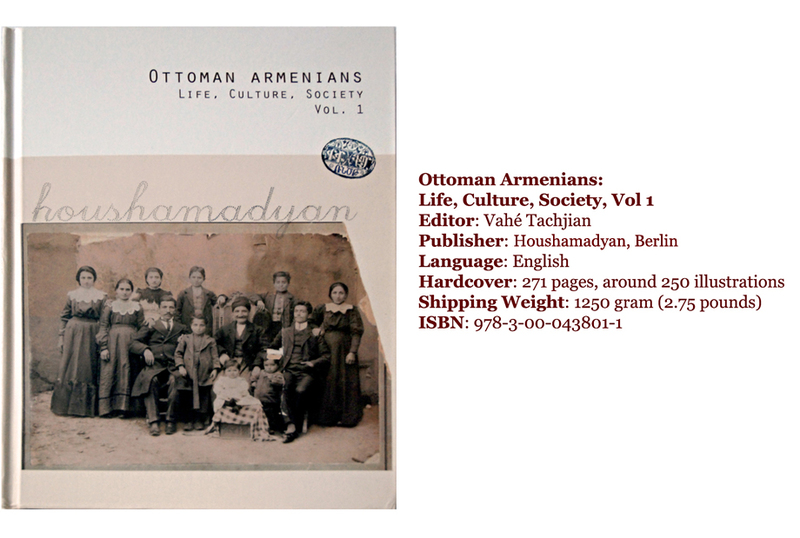 The book also includes numerous photographs related to Ottoman-Armenian life. And while the articles bring with them relevant photos, three separate photo galleries follow—of families, trades, and school life. Most of what is printed here was submitted to Houshamadyan by our readers. Such a collection illustrates our ongoing efforts to both assemble materials that have been passed down from generation to generation, and to make sure that such treasures become more accessible to the public. Silvina Der Meguerditchian worked on the book’s layout and photographs. Houshamadyan: Ottoman Armenians - Volume 1 from Houshamadyan on Vimeo. In this case please contact us indicating your postal address to which we can send the book. If you wish to buy more than three books, please contact us.